100% natural. Inspired by the Spanish moss draped from the branches of the majestic Live Oak trees that grace the streets and squares of Savannah. 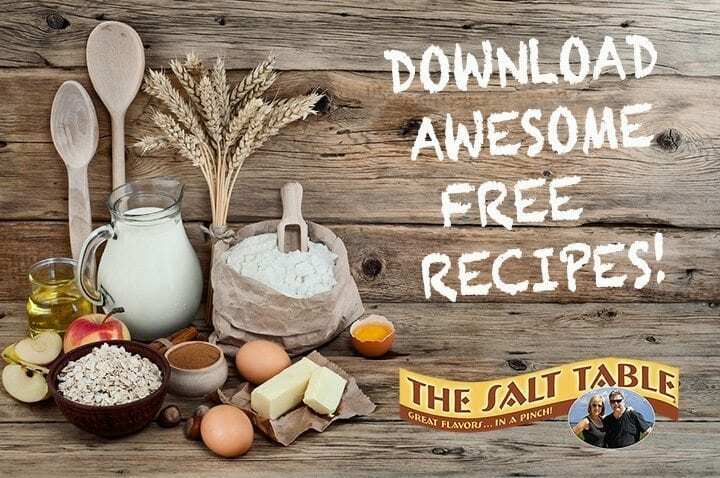 This flavorful and aromatic blend of salt and spices will introduce a surprising twist to chicken, fish, eggs and all of your savory casserole favorites. Try it mixed into mashed potatoes. Gooey, a bit messy, and loaded with calories (but so worth it! ), hot cheese dip is always a crowd pleaser and the Salt Table’s Old Man River Blend really boosts the flavor without adding salt. Other great seasoning blend pairings for this dip are Dave’s House Salt, Hostess City Blend, and Savannah Spanish Moss Blend. In a large mixing bowl, whip the cream cheese with a mixer at medium speed until fluffy. Set aside 1/3 cup of the cheddar and fold the remainder into the cream cheese. Fold in the Parmigiano and scallion. Season to taste with Old Man River Blend and mix well. Taste, and if it needs salt, add a little sea or Himalayan Pink salt as needed. 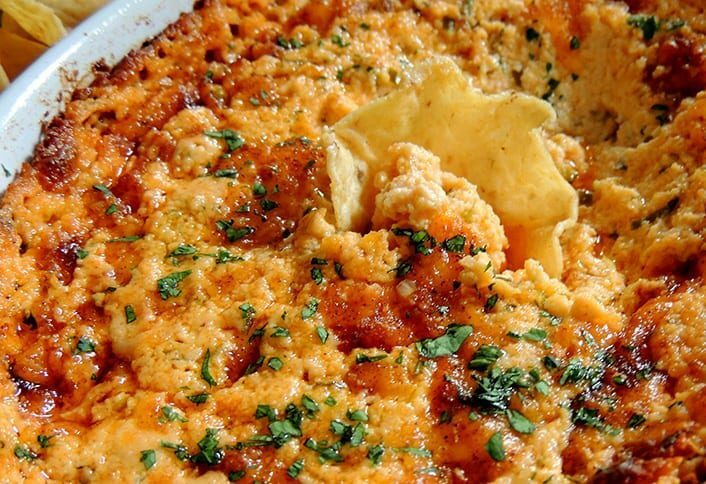 Transfer the mixture to an 8-inch gratin or small baking dish, smooth top, and sprinkle with the reserved cheddar. Cover and refrigerate until 30 minutes before baking. 3. 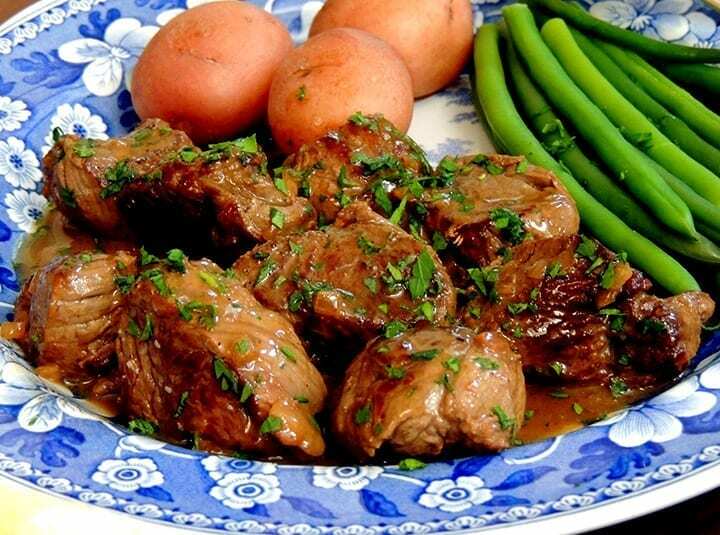 When ready to serve, take the dip from refrigerator and put it on a rimmed baking sheet. Position rack in center of oven and preheat to 375° F. Bake the dip until it’s bubbly and lightly browned on top, about 20-25 minutes. 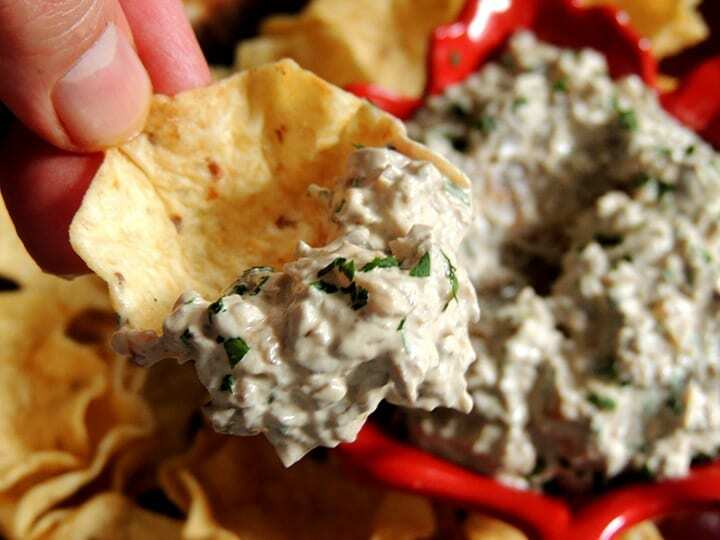 Serve with crackers, melba toast rounds, pita chips, or sturdy scoop-type corn chips. Variation: Three Cheese Ball. To make this into a cold cheese ball spread, put all the cheese into the mix, then cover the bowl and chill the cheese for 2-4 hours or until fairly firm. 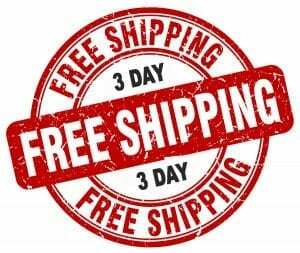 Scoop it onto a sheet of plastic wrap and shape it into a ball. Cover and refrigerate until you’re ready to serve it. Just before serving, unwrap the ball and roll it in chopped toasted pecans, chopped crisp bacon, or minced flat-leaf parsley. Put it on a serving plate and surround it with crackers, melba toast rounds, or plain pita chips. 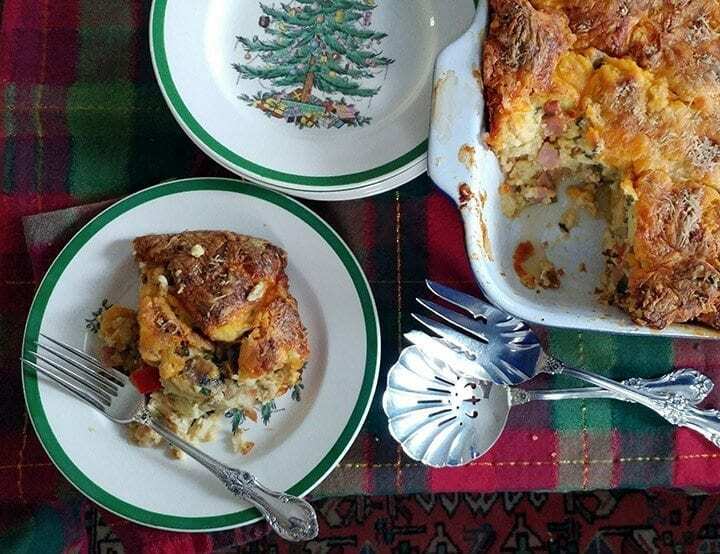 A Holiday breakfast or brunch standard, a strata is really nothing more than a savory bread pudding. 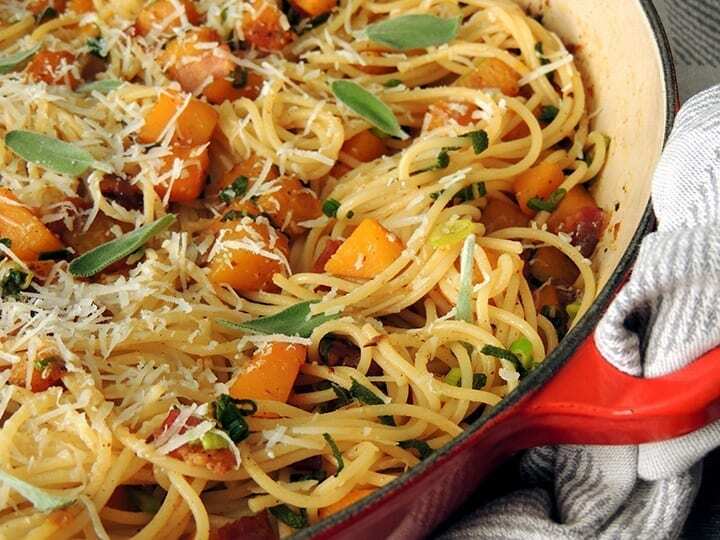 It also makes a lovely supper dish for any chilly evening throughout the year. 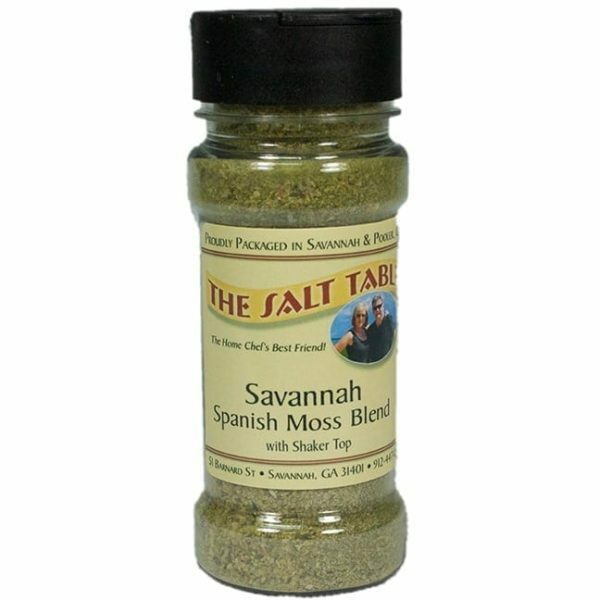 The Salt Table’s Savannah Spanish Moss Blend makes seasoning it a snap. Another perfect match for it is the ever-popular All ‘Round Good Grinder Blend, which is delightful with ham and eggs. You can add a little chopped fresh oregano to freshen the flavors, but it really doesn’t need it. Cut the bread into large dice (some cut enough for the top layer into decorative shapes with a cookie cutter). 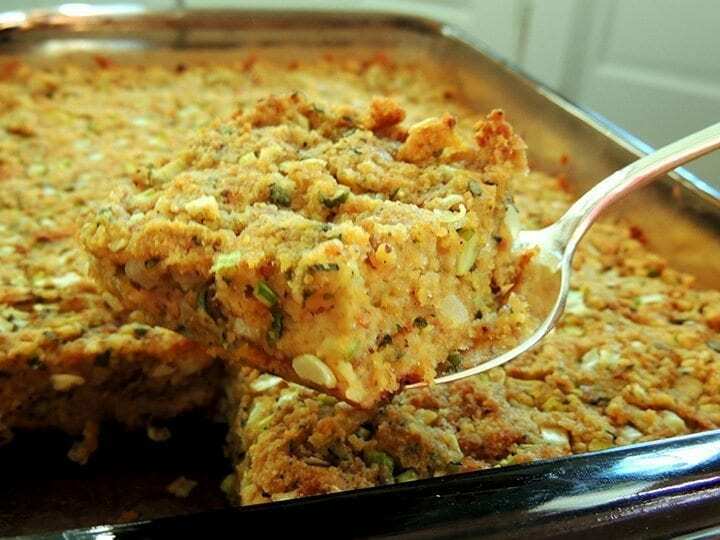 Butter a 9×13-inch casserole and put in half the bread. Melt the butter in a heavy-bottomed skillet over medium heat. Add the peppers and sauté 4 minutes. Add the mushrooms and raise the heat to medium high. Sauté until they’re opaque, about 3 minutes, then add the green onions and ham and toss until hot, about a minute. Turn off the heat. 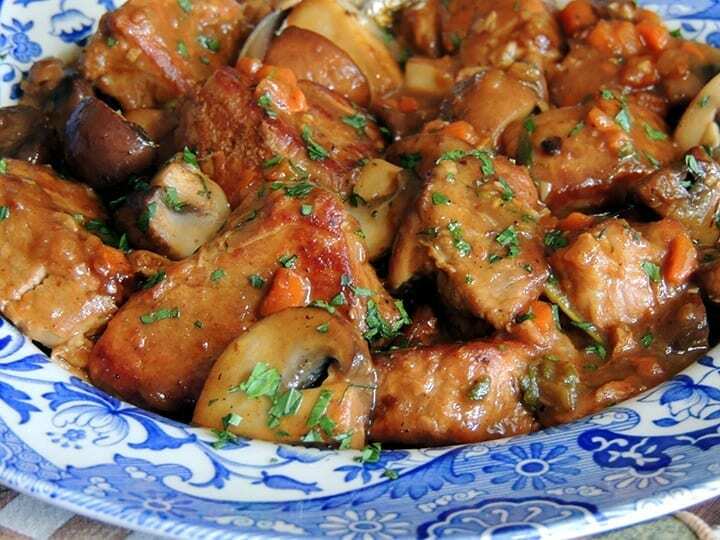 Scatter the ham, pepper, mushrooms, and green onions mixture over the bread in the casserole dish. Season well with Spanish Moss Blend. Sprinkle half of both cheeses evenly over it and top with the remaining bread. Whisk together the eggs and milk and 2 teaspoons (or to taste) Spanish Moss Blend. Pour this over the entire casserole, cover with plastic wrap, and let it sit until the bread has fully absorbed the custard, about 30 minutes, or refrigerate it overnight. Let it sit at room temperature for 30 minutes before baking. Preheat the oven to 375° F. Uncover the strata and bake until it’s almost set, about 30-35 minutes. Sprinkle with the remaining cheese and bake until golden and firm at the center, about 15-20 minutes longer. Let it rest 10 minutes before cutting. Pot pie is at its best when made with a chicken that has simmered in broth that’s in turn used to make the binding gravy, but a quick and perfectly satisfactory version can be made with leftover roasted poultry or a market-cooked rotisserie chicken, so it’s also a great way to use up leftover Thanksgiving Turkey. The Salt Table’s Spanish Moss Blend is ideal for poultry dishes, and gives these savory pies a deep, complex flavor without the complication of grinding spices and chopping several different herbs. Position a rack in the center of the oven and preheat the oven to 400° F. Put the butter and onion in a heavy-bottomed deep skillet or wide, 3-4 quart pot over medium heat. Sauté, stirring often, until softened and translucent, about 3-4 minutes, then add the carrot and celery. Sauté, tossing, until softened and beginning to color, about 3-4 minutes more. Add a tablespoon of Spanish Moss Blend and sauté until fragrant, about half a minute. Sprinkle in the flour and stir until it’s bubbly and smooth. Slowly stir in 3 cups of broth, bring it to a simmer, and simmer until thick, stirring constantly. 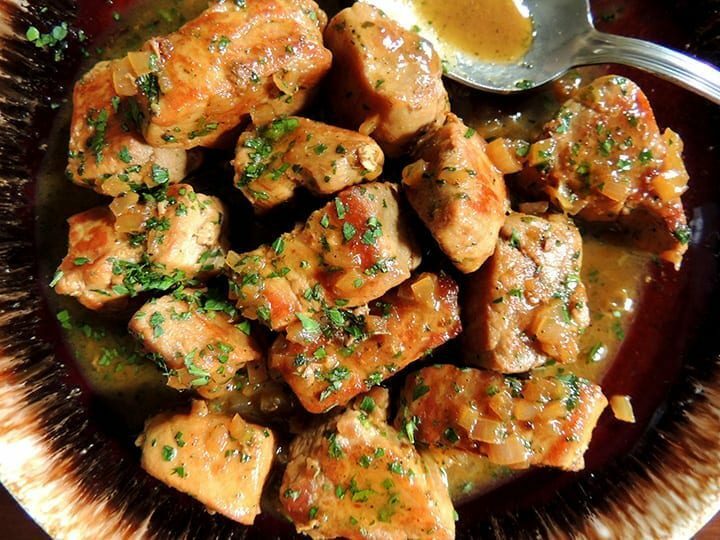 Add the diced chicken and peas, bring it back to a simmer, and simmer 3-5 minutes. 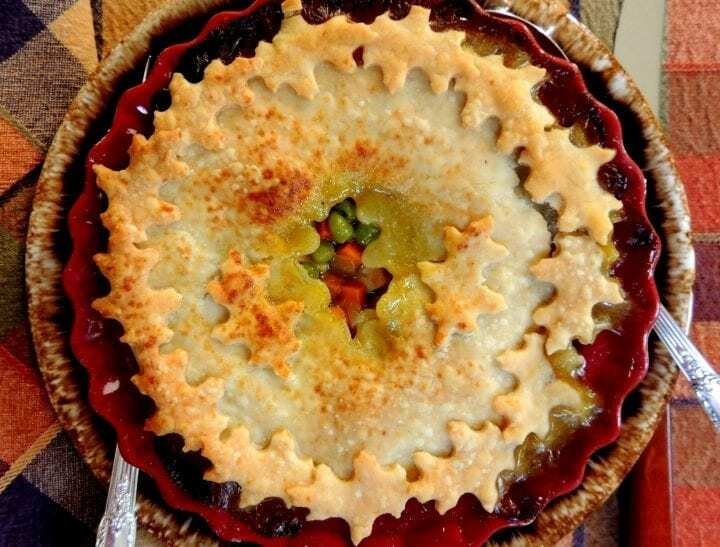 Taste and adjust the seasoning, adding more Spanish Moss blend if needed to suit your taste, and transfer the filling to 4 individual potpie dishes or 10-ounce ramekins. Roll the dough out 1/8 inch thick on a lightly floured work surface. Cut it into rounds a little larger than the ramekins. Using a small decorative cutter, cut out the center of each and place the pastry over the filling. Use the same cutter to cut the excess pastry into decorative shapes, brush the bottoms with water, and arrange them around the edges. If you want a showy, glossy finish to the pastry, brush it with the diluted egg white. Bake in the center of the oven until the pastry is golden and the filling is bubbly at the center, about 30-35 minutes. For pot pies, creamed chicken, and casseroles such as chicken spaghetti. 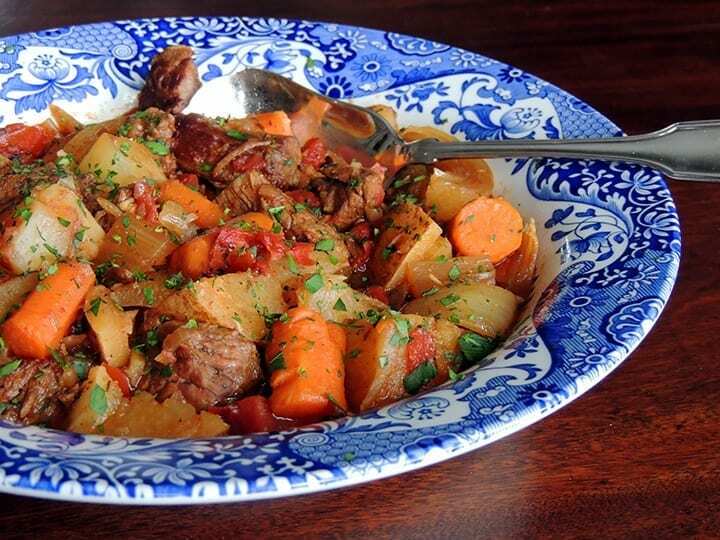 Cover the bottom of a wide Dutch oven or deep braising pan with the onion, carrot, and celery. Lay the chicken over it skin up and sprinkle lightly with salt. Add enough broth to barely cover the chicken and put in the sprigs of sage and parsley, bay leaf, and ginger. Bring it to a simmer over medium high heat. 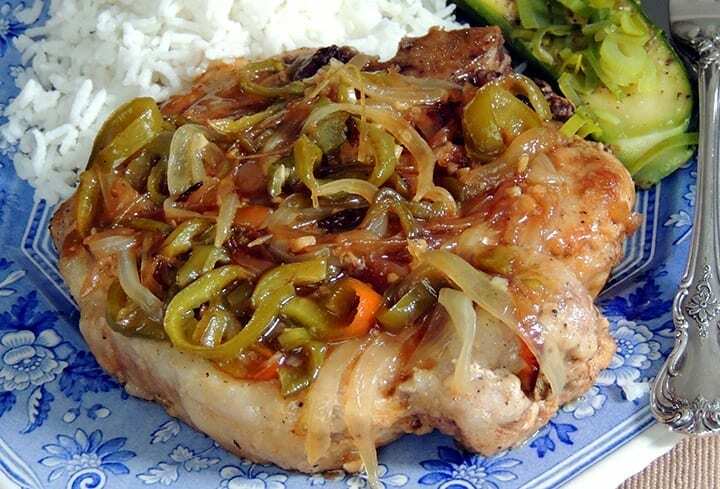 Reduce the heat to a slow simmer, loosely cover, and cook until the chicken is tender, about 30-45 minutes. Remove the chicken, let it cool, then skin, bone, and cut the meat into bite-sized pieces. Strain and reserve the broth, discarding the solids. Sift or whisk together the flour and salt. Cut in the shortening and butter with a pastry blender until the flour resembles coarse meal with random lumps of fat no larger than small peas. Stir in ¼ cup of ice water and work it in. Continue adding water by spoonfuls as needed until the dough is holding together but not wet. Gather the pastry into two balls, press each one into a 1-inch thick flat disk, and cover with plastic wrap. Refrigerate at least 30 minutes or for up to 2 days. Let it come almost to room temperature before rolling it out.